Ysidro Gonzales and his family took shelter at a martial arts studio in Refugio when Hurricane Harvey hit. He says their home seven miles away is "gone." As the sun sets Tuesday night in Refugio, Texas, Ysidro Gonzales says he knows he's lucky to be standing in a town without electricity or plumbing. He and his extended family took shelter at a martial arts studio the night Hurricane Harvey slammed into the Texas coast. He based the decision to stay in the town on experience: He has weathered coastal storms for decades. 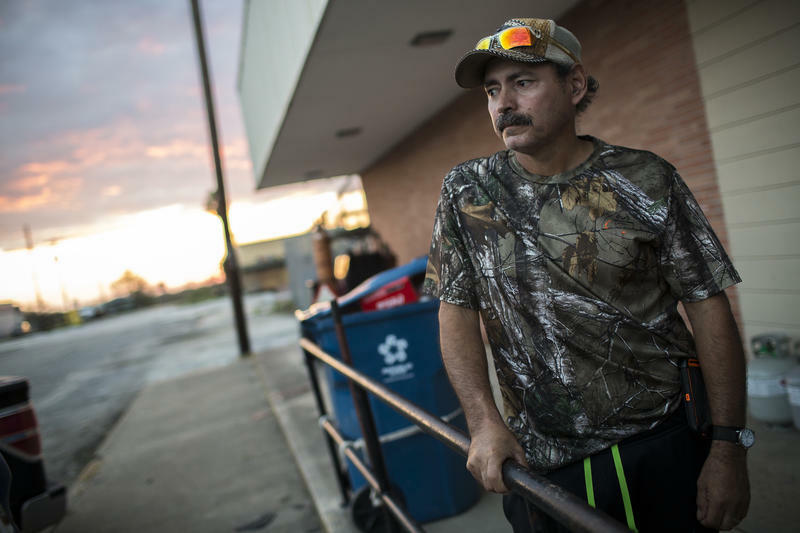 He also counted on distance: Refugio is about 30 miles inland from the Gulf of Mexico. But as Harvey moved over Refugio, doubt swept in and his thoughts went to his family, waiting it out with him at Cordero’s Training Academy. “It went through my mind hundreds of times. We didn’t even think this building was gonna hold up,” he says. As for what has happened to his home seven miles south? Cordero’s Training Academy, just off Highway 77, is one of the few buildings in Refugio that’s still sturdy enough to serve as a temporary shelter for Gonzales, his wife, two daughters, his 1-year-old granddaughter, his mother and about a dozen other relatives. 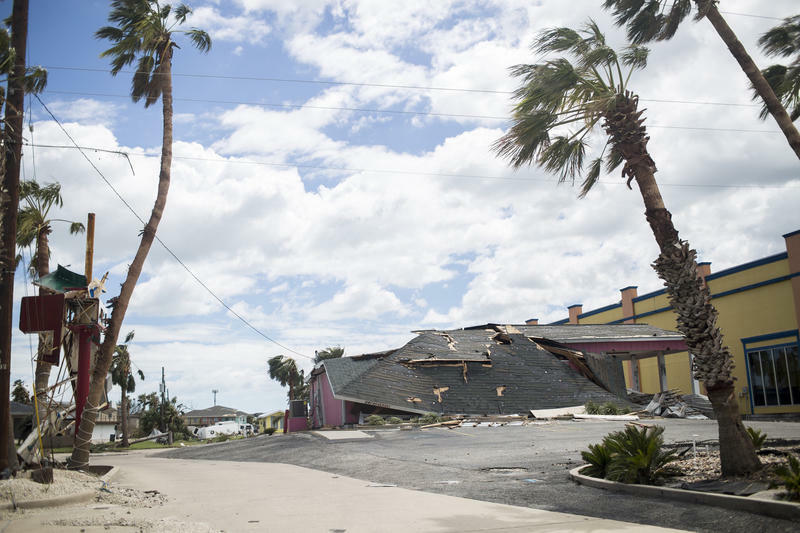 After Hurricane Harvey came ashore Friday, it basically parked near Refugio, unleashing hurricane-force winds, rain and tornadoes on the town of 3,000. 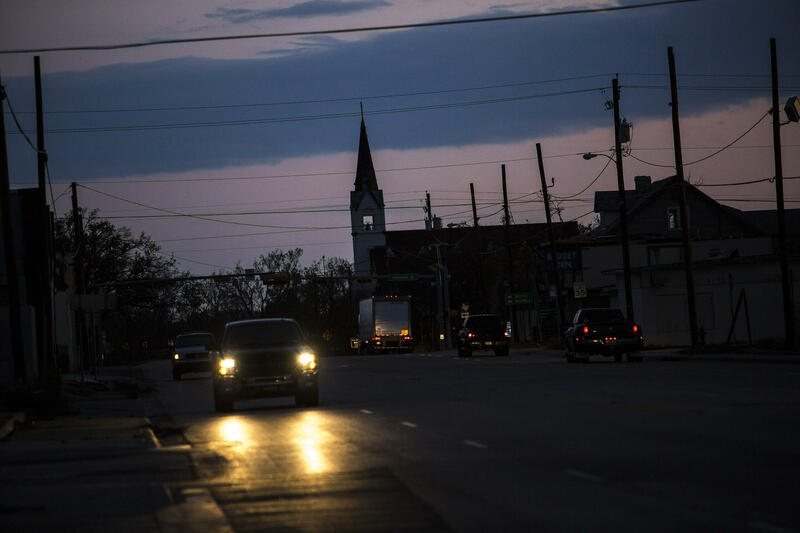 Refugio, a town of about 3,000, sits at the very end of Highway 183 between Victoria and Corpus Christi. On two visits Monday and Tuesday night, I saw extensive damage to almost every structure in town. Gas station canopies crumpled up and thrown aside. Entire sides of hotels sheared off. Anything not tied down was thrown into the streets and highways – including RVs, sheds and mobile homes. As Harvey slowed Saturday morning, it essentially parked near Refugio, unleashing hurricane-force winds, lightning, rain and tornadoes – all seen through the front doors of the dojo. If all of this weren't enough of an emotional pressure cooker for the family, Gonzalez had his kidney removed two weeks before the storm. He says he’s recovering from cancer. For now, he has what he needs to dress and clean the wound. His wife, Violet, is glad they left their home and went downtown. “You really don’t get the help you need when you’re out in the country like you do if you live in town,” she says. It’s help Refugio and surrounding towns will need. Right now, the city has a curfew. Folks who are staying must shelter in their homes or wherever they can overnight. 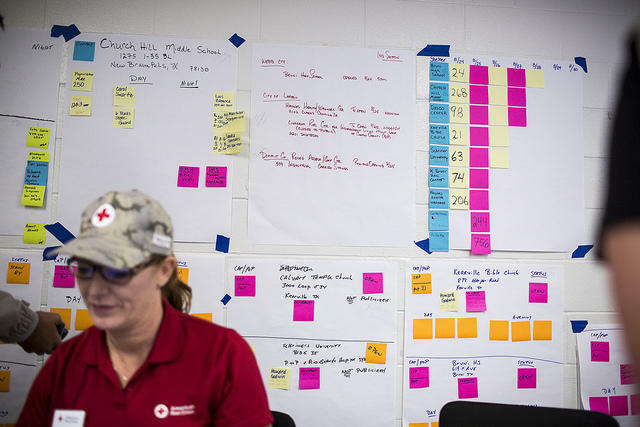 In daylight hours, there are limited services, spread initially by word-of-mouth, eventually by social media once cell service was restored Tuesday. Here and there, groups from other coastal communities bring water, toiletries and other essentials. The Refugio HEB is damaged and closed, but it has hosted residents and first responders in its parking lot, serving food and providing some relief. Water was turned on temporarily, but then shut off because of storm-related damage. Electricity was off as of early this morning. The Gonzales family has a generator to run lights and a fan. And they have a propane grill. 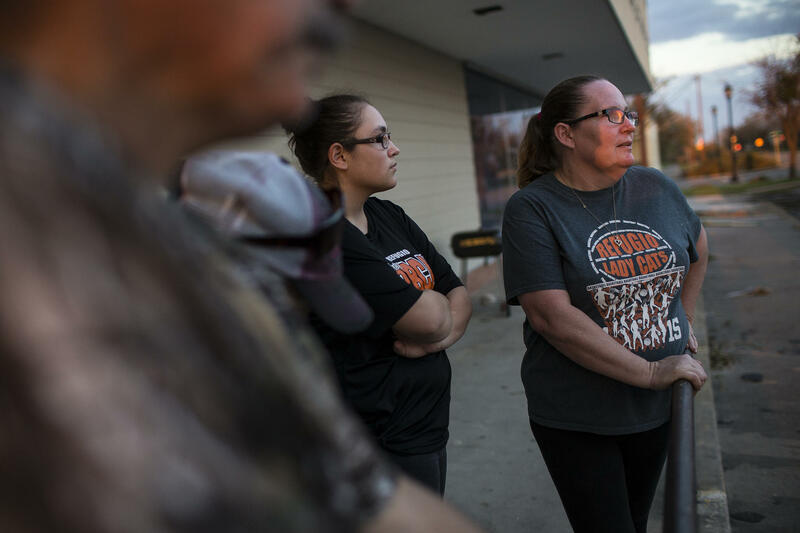 Gabriela Gonzales and her mother, Violet Gonzales, stand outside Cordero's Training Academy, where they took shelter with their extended family during Harvey. Violet says she's glad they left their home during the storm because "you really don't get the help you need when you're out in the country." Violet says it’s going to have to do, but she’s ready for a change. This will have to be home for now, but what’s next for the Gonzalez family and the rest of Refugio is unclear. And so are a lot of others. Most service jobs at the local stores, restaurants and hotels were effectively destroyed with their buildings. Rebuilding will take months and months. The owner of the local America’s Best Inn franchise didn’t want to talk on tape, but did say it’s too early to tell if he even can rebuild. The Gonzales family is staying put as long as they can. Friends and police check in to make sure they have what they need in their unconventional shelter. For now, the town of Refugio, will be their refuge. Harvey brought catastrophic flooding and damage to parts of Texas. Houston was especially hard hit, with rain totals estimated in excess of 50 inches. Thousands of homes have been damaged. The devastation will leave many people in need of help rebuilding their lives, and in the meantime, many people will need help making it day-to-day. Here are some ideas for how you can help. 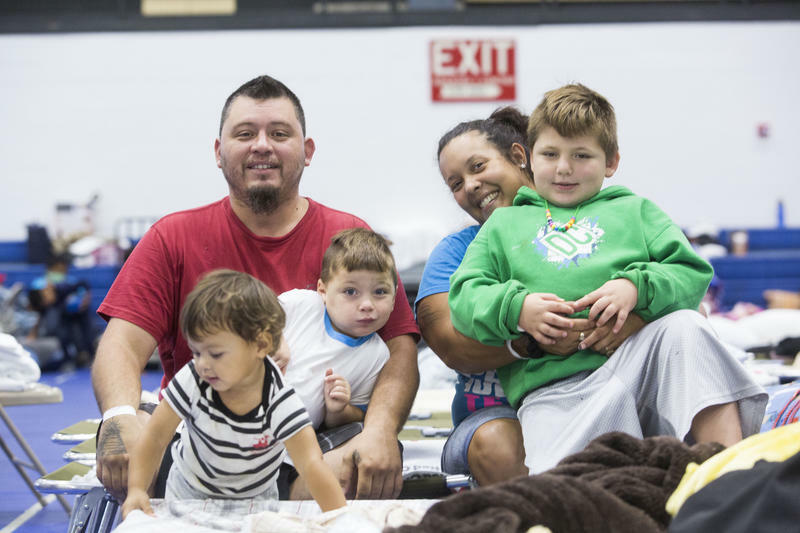 Vanessa Dean, 35, sat in a chair by a row of forest-green cots her family had been sleeping on for four nights and recounted how they left their home in Nixon, Texas, on Friday as Hurricane Harvey barreled toward the coast. 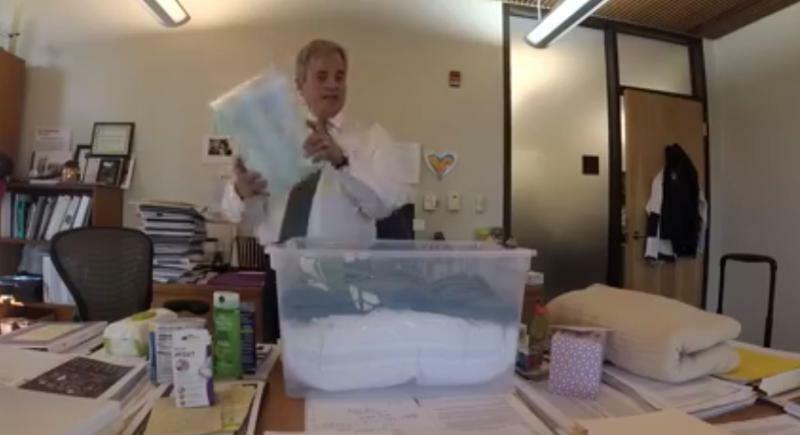 Austin Mayor Steve Adler is calling on Austinites to help fellow Texans taking shelter here by making 6,000 "welcome kits" for the Austin Disaster Relief Network.